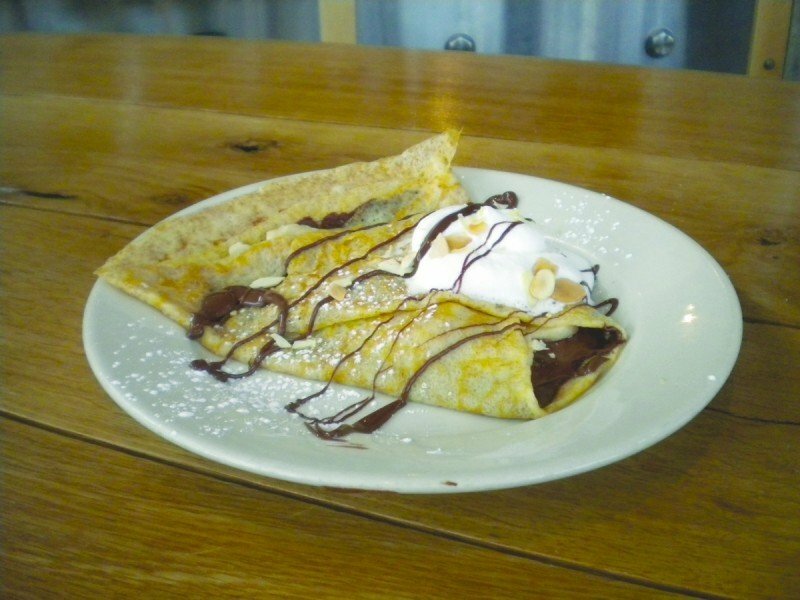 One of the more popular mainstays of the Bradbury's menu is the Nutella, banana and almond crepe. Just around the corner from the ever-popular Gotham Bagels sits Bradbury’s, a trendy creperie and coffee shop filled with regulars, hipsters and java lovers in need of espresso. Located at 127 N. Hamilton St., it provides a full menu of both sweet and savory crepes with high-quality ingredients from local farms. While most of the savory crepes cost about $8, the sweet ones are all well under $7.70. One of the more popular mainstays of the menu is the Nutella, banana and almond crepe ($4.50). It’s filled with a heaping portion of the rich chocolate hazelnut spread, freshly sliced bananas and toasted almonds, which give it the perfect crunch. A seasonal favorite is the rhubarb, raspberry preserves and yogurt cheese crepe ($5.50), which uses fresh, local and organic ingredients. The tartness of the rhubarb is balanced by the sweet raspberry preserves. And the yogurt cheese has a yogurt consistency with a similar flavor to cream cheese, adding just the right amount of creaminess to the crepe. The crepes are the perfect size for breakfast, dessert or a light snack. 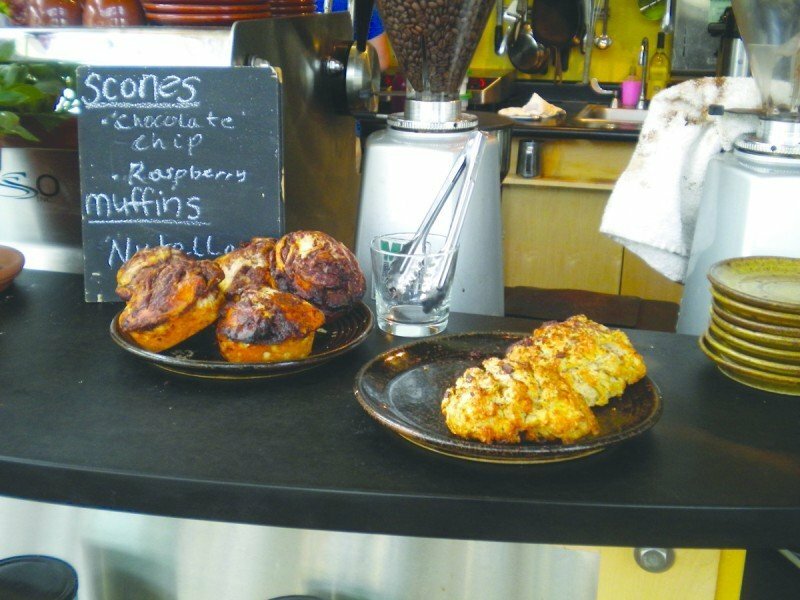 For patrons looking for a little something extra, or a bite to complement the freshly brewed coffee, the scones and muffins are always a tempting option. These change daily, with offerings like Nutella muffins, and chocolate chip or raspberry scones. The scones are fragrant, buttery and flavorful, and look like they just came out of the oven. Bradbury’s is also known for pouring a mean cup of coffee. It uses fair-trade organic coffee for everything from lattes to French press coffee, and organic milk from Sassy Cow Creamery makes the cappuccinos into a work of art. My dining companion had an outstanding iced coffee, a perfect summer beverage. With a calming ambiance and an affordable menu, patrons take their time relaxing at Bradbury’s, and the sophisticated crepes and strong espresso keep customers coming back. Address: 127 N. Hamilton St.